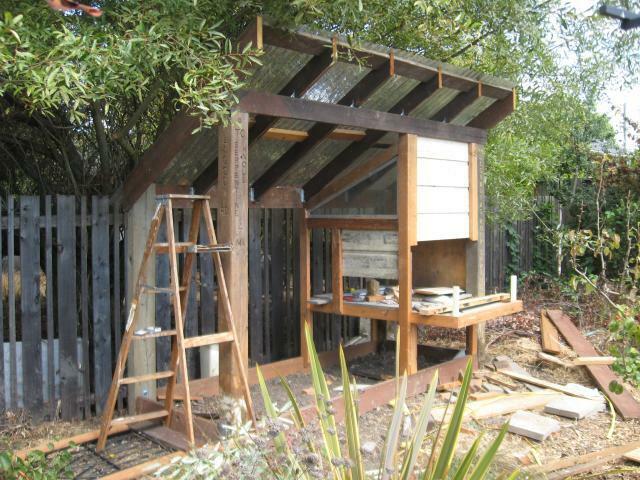 My goals for this coop were to make it mostly from recycled materials, to give four hens enough space, and to avoid creating an eyesore. A secondary goal was to support the neighbor's willow tree, which sags across the fence and needs frequent pruning. 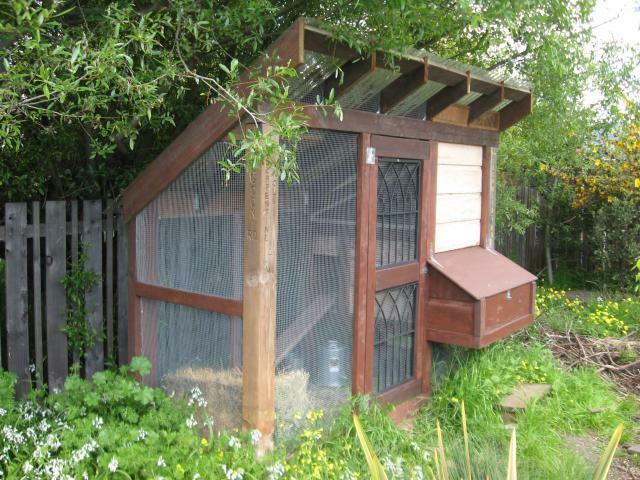 I looked at a lot of coops on this website and my inspiration for this design was the "Two Dog Farm" coop (https://www.backyardchickens.com/web/viewblog.php?id=26484). I had some fairly large dimension redwood and pressure-treated lumber from when we added on to our house and lost part of our deck. 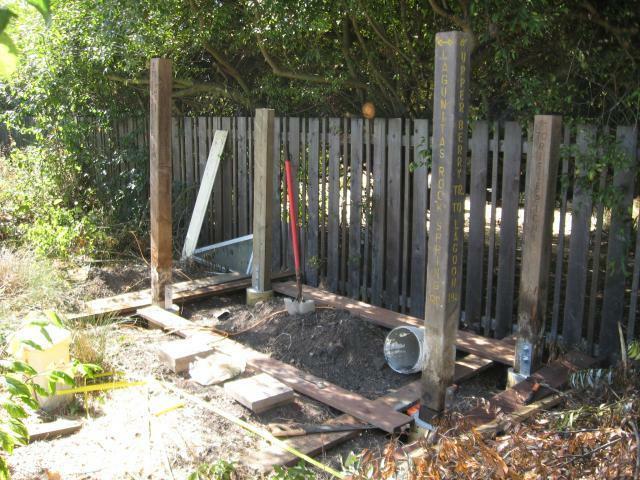 I also had access to old 6x6 redwood trail posts, which were being replaced on the watershed lands where I work. 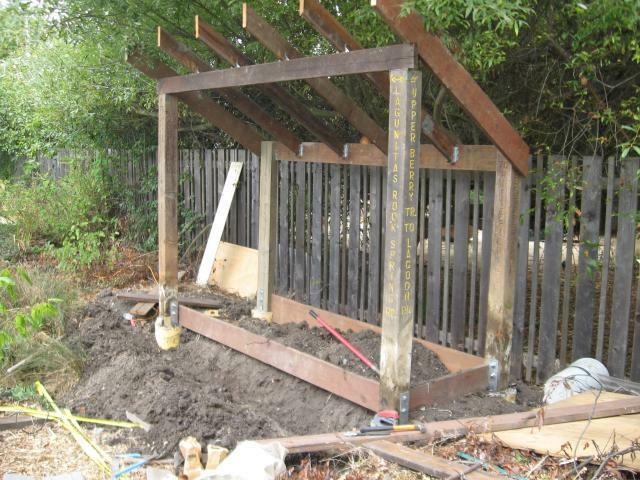 This was going to be a chicken fortress. 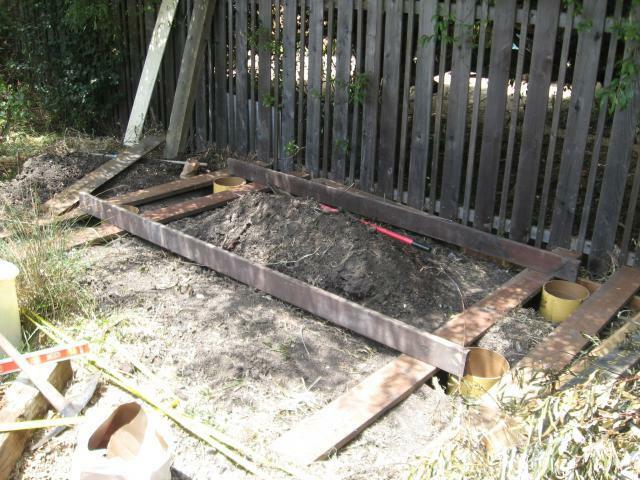 First step: Pour concrete footings to support the heavy posts, roof joists and the neighbor's sprawling willow. The dimensions of the run are 10' x 4'. 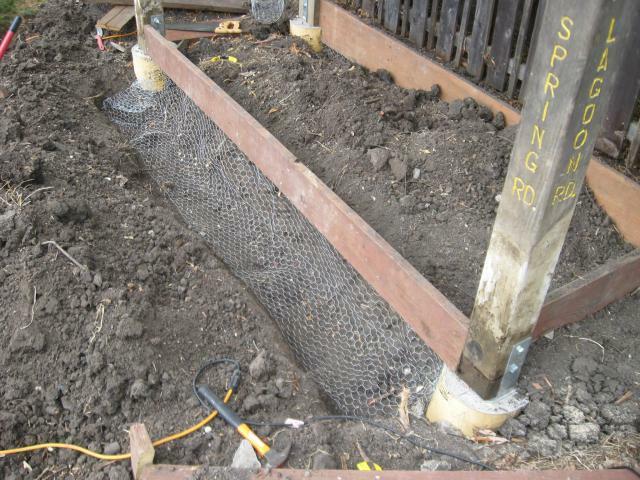 Next, I trenched between the footings and lined the trenches with chicken wire. Once I was done I realized I should have lined the floor of the run with chicken wire, instead of digging trenches one foot deep through willow roots. Aargh! The roof joists are ridiculously large for a coop (2x6s and 2x8s) but that's the wood I had, and the willow will eventually weigh heavily on that roof. Down the street from us is a recycled building materials yard ("Urban Ore") and I found some plastic roofing and plenty of 2x4s and plywood there. The exterior walls were mostly made from redwood siding we lost when we added onto our house. I found a perfect triangular window in an abandoned building near my work (the building was torn down the following week). But the best find was plastic deck lumber that I found on the side of the road. I found just enough to make the floor of the coop. 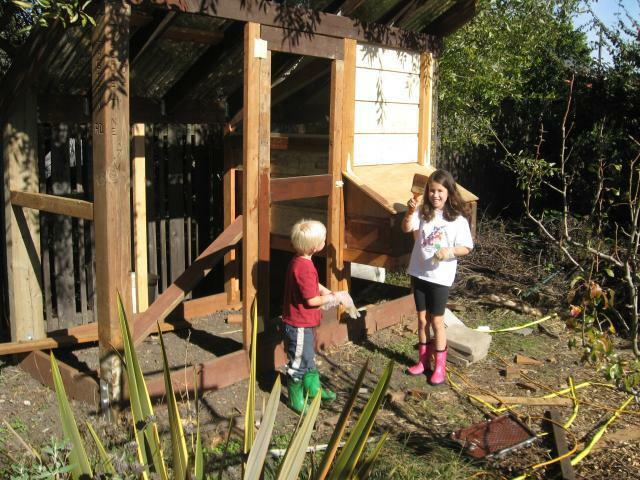 I also found some inexpensive laborers who stained (the lower half of) the coop. 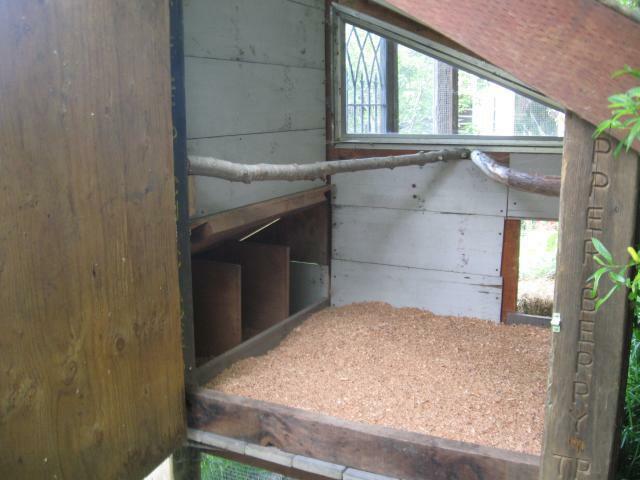 The coop interior is 4'x4' and includes a redwood and a buckeye branch for perches. The nest boxes are 14"L x 12"W x 16"H. I added a spring to the nest box lid to hold it open. The wood shavings come from a local furniture maker. I found some small, used, louvered doors to use as adjustable ventilation at the top of the coop. I had two metal gates lying around, which I incorporated into the door to give it some rigidity. In the end the only materials that weren't reused or recycled were the concrete, hardware cloth and metal hardware. I underestimated how expensive those things would be, particularly the anchors for the 6x6 posts (~$20 each). 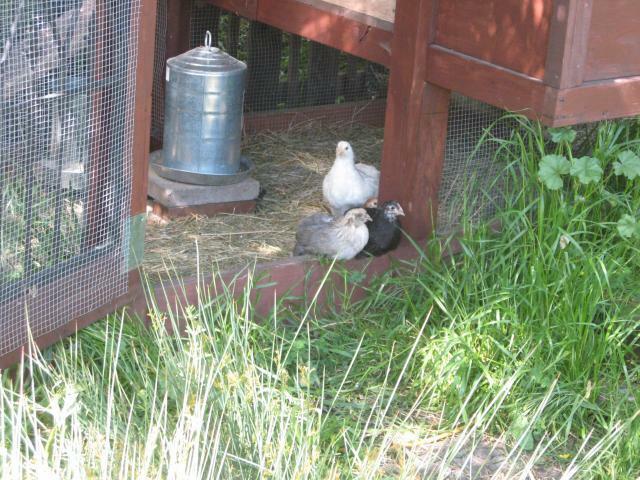 Our backyard is now named "BEAK Farm," which incorporates the first initial of each of our names. That's not quite as silly as our chicken's names: Donut, Cookie, Mousse and Sophie (Delaware, black australorp, ISA brown (sexlink) and Americauna). Nice coop. Easy to follow and good description. 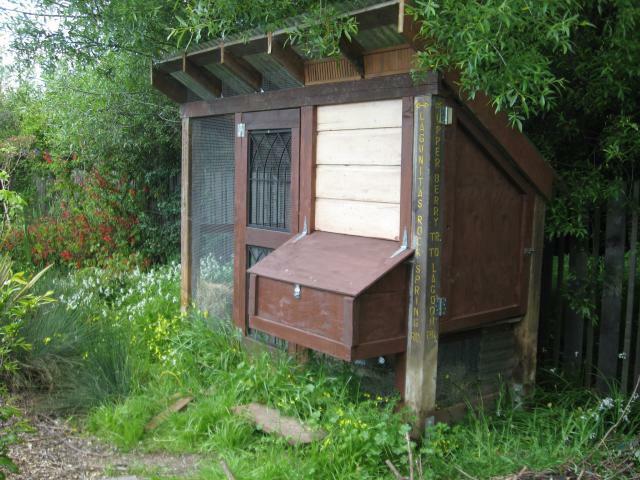 "Great coop for 4 hens"
I love that it is made of recycled materials. I also love the shavings on the inside of the coop above the roosts. 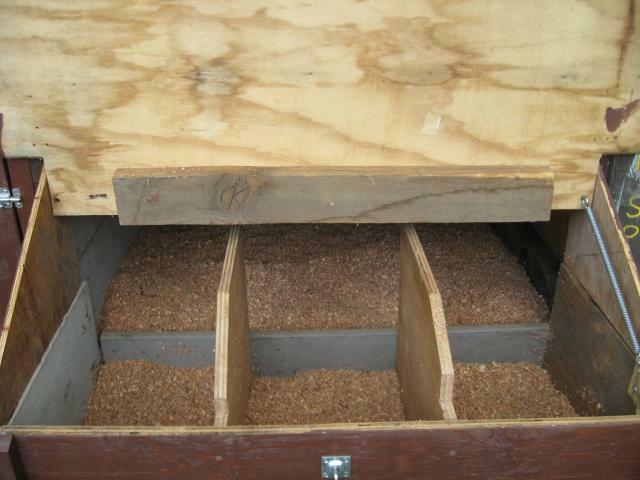 If there is a sliding tray, then it would be very easy to change out the shavings for a very clean coop. The door is awfully cool! You did an excellent job incorporating the gates on it! Farmer2Be: Since we already had most of the wood, the biggest expense was the hardware cloth and metal fastenings. The connectors between the concrete footings and 6x6 posts were surprisingly expensive. All in all I think I spent $300. I love how recycled your coop is! great job! 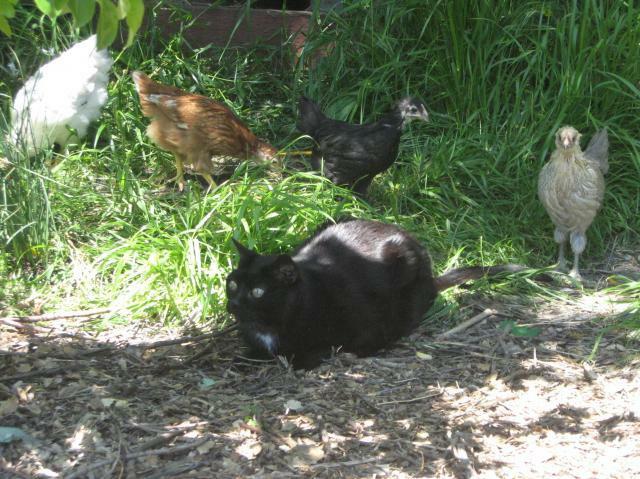 your cat seems to get along with the chickens pretty well?